REDUCED + $2500 TOWARD CC FOR CONTRACT ACCEPTED BY 2/19/19! 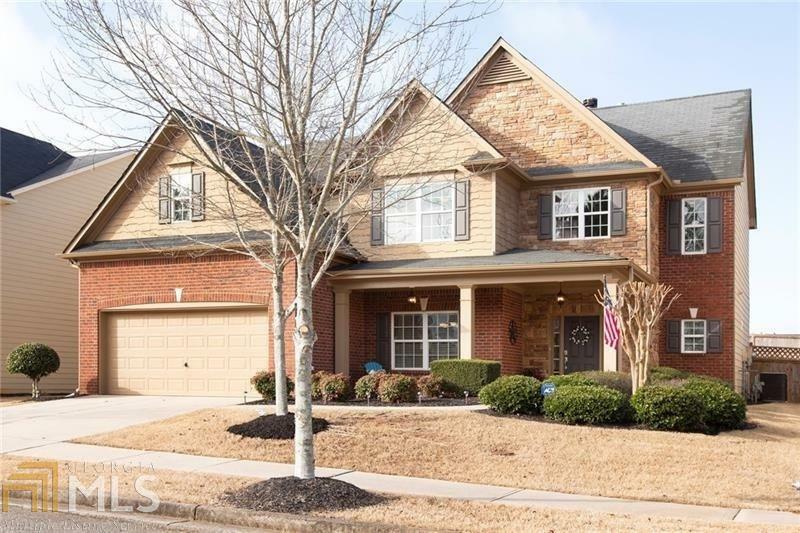 Home in Desirable Harmony on the Lakes features an Upscale Stone & Brick Front plus Charming Front Porch! Dramatic Open Floor Plan boasts a 2-Story Great Room with Curved Wall of Windows, 2-Story Stone Fireplace + Floating Shelves! Large Dining Room Open to Great Room. Convenient Guest Bedroom & Full Bath on Main. Beautiful Island Kitchen with Granite Countertops & SS Appliances. Luxurious Owner&apos;s Suite with Private Deck, Spa-like Master Bath & Private Door to Laundry! Fenced, level backyard. Walk to the Pool!